474747 is a great website I discovered today. It is not about math as you might have initially thought, it is like a startpage. Not knowing what a start page is ? This is a page where users aggregate all their favourite websites that they access on a daily basis so that it becomes easy for them to consult their websites without having to type in the URLs each time they want to visit them. A startpage is a must have service for heavy internet users like me. It saves you time and makes your online surfing much more easier. There are many online services that provide start pages and among these ones Google. 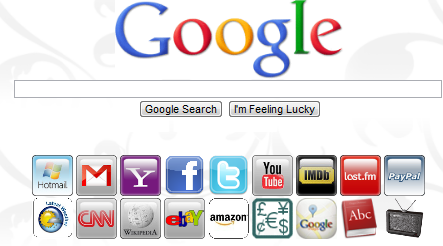 I am personally using iGoogle to manage and organize the websites I constantly access all in one single page. 474747 is a start page service that allows users to have a quick access to a sort of directory of online websites at a simple click. 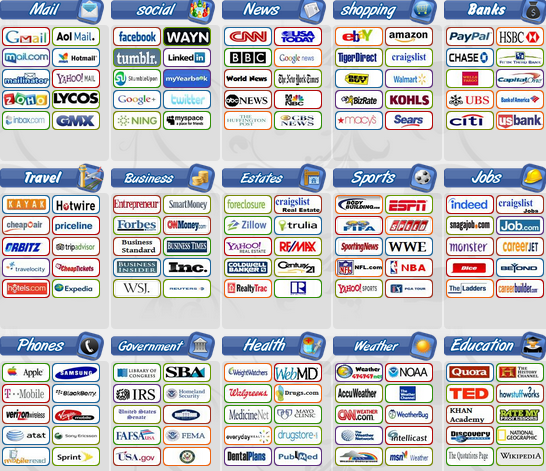 It arranges websites in different categories and organizes them into grids. There is evern a " choose country " option where you can select your nation and start getting country-specific suggestions of websites to use. 474747 features a list of categories such as : Mail, Social, News, Shopping, Banks, Travel, Business, Estates, Sports,Jobs, Phones, Government, Health , Weather .....and the list is too long. There is also a Google Search bar at the top of the page that you can use to seach directly into Google. Head over to 474747 and give it a try.